SAINTS is an end-of-life sanctuary for senior and special needs animals that have nowhere else to go. We provide a special place to be loved, cherished, and receive proper medical care for the rest of their days. All animals deserve to have hope for a better tomorrow. At various shelters throughout B.C., dedicated staff and volunteers work tirelessly to find these special animals a place to finish their journey in comfort and in love. Because of their infirmities and physical challenges, many homeless senior and special needs animals have very little chance of finding a new home. 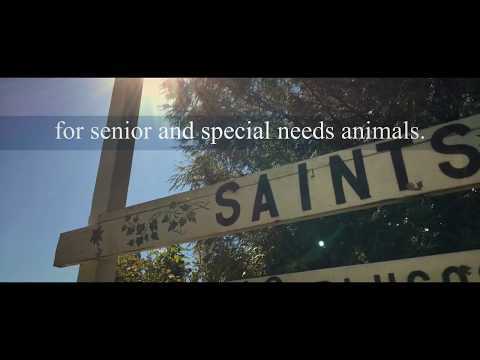 SAINTS exists to help senior and special needs animals when all else fails. If we can, in time, find them a special home of their own, then we do. If that very special home never comes, they will be safe and cherished until the end of their days. We pledge to love them, to care for them, and make their dreams come true. We promise each of them that they will never be alone again.